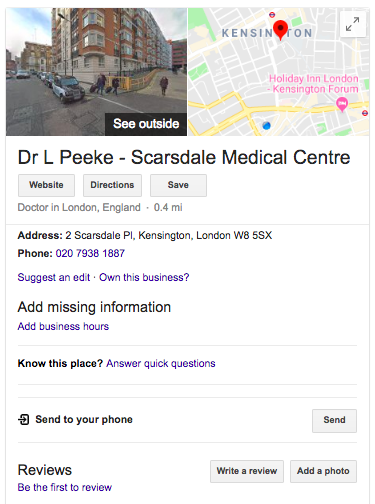 HelpHound Blog: Reviews and the medical profession - did our predictions come true? 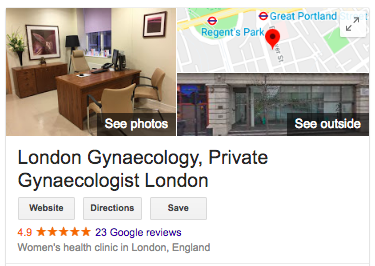 Reviews and the medical profession - did our predictions come true? And all these led us to the same conclusion: that the medical (and associated health and caring professions) would do well to adopt a proactive attitude to reviews. Tick two. 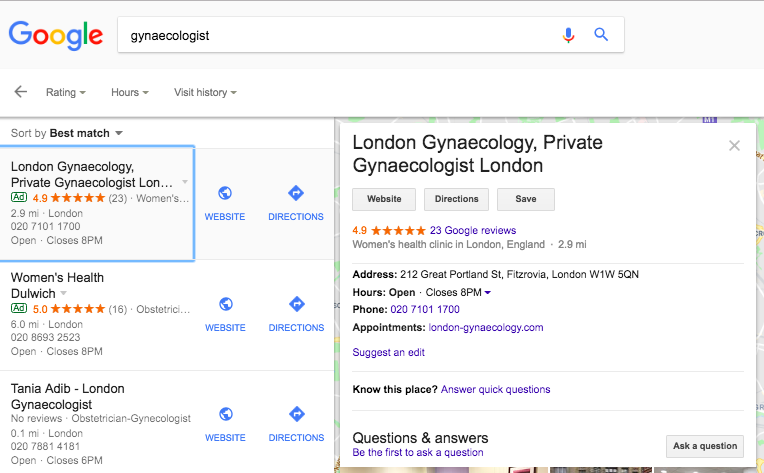 The alternatives have faded away - simply because Google reviews dominate in search. 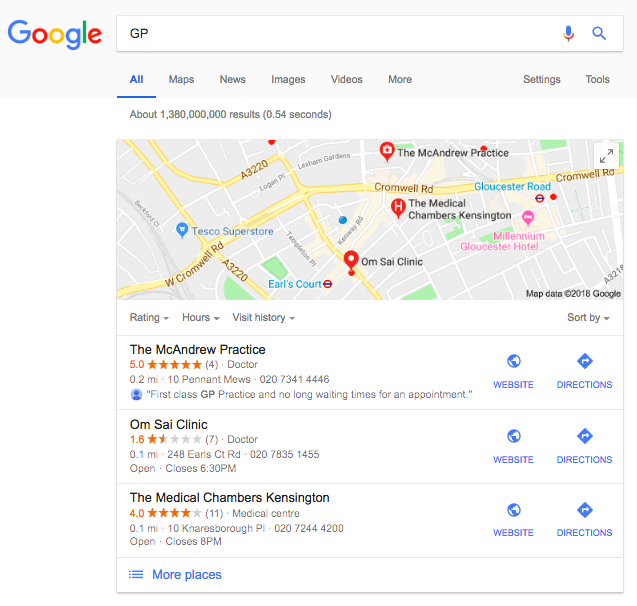 ...whether the potential patient conducts a simple search (top) or a map search (bottom) they are shown local surgeries with their Google scores prominently displayed. ...a surgery that had no reviews until a year ago! We are fully alive to the fact that we are asking you to put your reputation on the line by proactively inviting reviews, but we are advising you to do exactly that. We all recognise that those who feel they have been insufficiently well treated - whether that be by the hotel or restaurant of their choice or their medical practitioner - will be much more motivated to write a review than those who are happy. So we - and you - need a mechanism to balance that equation. That mechanism is moderation. Moderation is the process whereby a review passes through a 'safety net' (operated by HelpHound in conjunction with both the practitioner and the patient/reviewer) before the review is published - that safety net operates in the best interests of both the reviewer and the practitioner to ensure that the review is factually correct and contains nothing that might mislead the person relying on that review to make an informed choice. For those that would like to mine don into the fine detail of moderation there is a separate article here. 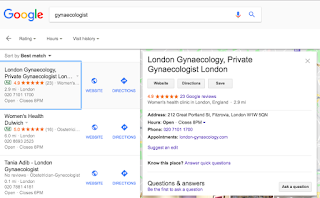 No matter what our clients' professions, our ultimate aim will always be to have them scoring in excess of 4.5 on both their own websites and on Google. A 'perfect 5' is attainable in some cases, but it would be unreasonable of us to lead anyone to expect that at outset. It may well be that some processes within the individual practice need tweaking to improve the business's CRM (a one star review complaining that the phone 'is never answered' has exactly the same impact on a practitioner's Google score as a one star review of a complex medical procedure) but HelpHound will always advise on that before going ahead and implementing any review management processes. Implementation is always planned very thoroughly indeed. No stage is implemented - asking patients to write a Google review, for instance - until the previous stage (asking for a review to the practitioner's own website, in this case) has been thoroughly tested and proven. At HelpHound we support all our clients every step of the way, from first review to their ultimate goal (as described above). We act in exactly the same way as all your other professional advisers - just focussing on reviews as opposed to legal or financial issues. Last, but not least, we have no contracts with our clients (apart from our terms of engagement) so we are fully aware that we have to deliver month-in-month-out.